I will try to constract your amp.Would you please be kid enough to give me more info about the high voltage transformators? Thanks for your interest in my hi-fi amp. The transformers are 30V 1A secondary transformers. 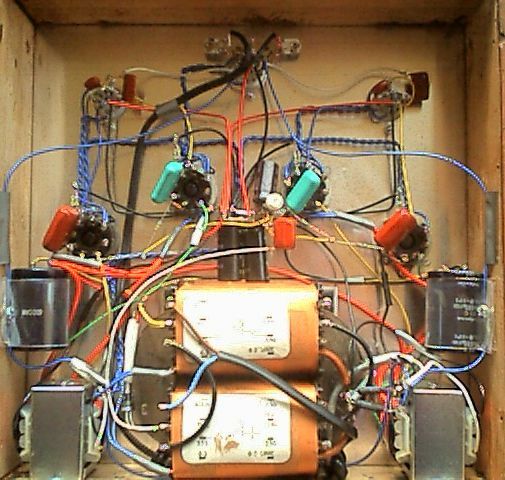 A single 60V 1A transformer would work also. I did build this amp and was a good sounding amp. I had to change the value of C7 to achieve the Bias. Hi grant my first time,so sorry to see Roly passed,what a great man.you guys have done such a wonderful job of keeping people interested,l’ve thoroughly enjoyed every read .gee talking about 6cm5’s and pa’s l’ve still got 7or so factory pa’s that l’m still trying to get around to eg Phillips stc geloso yes a 100 watt with original el34’s a virgin a zephyr a playmaster 117 etc ,anyway Grant l should have chimed in ages ago but keep up the good work mate cheers: stef . Hi Stefan, thanks for your kind words! Great to hear you liked the amp design! Tone controls are only possible if an extra gain stage was to be added. Perhaps the best approach is to use a separate preamplifier? Grant, firstly thanks for making this design available. I’m planning on building one of these hifi stereo amps to go with a turntable. Have you played a turntable through it, presumably via a phono preamp? If so can you tell me what your setup was. Thanks very much. Thanks for your interest in the amp design. I used it with a CD player making a preamplifier unnecessary. If you wish to use a turntable, you will need a phono preamp as you suggest. Cheers. 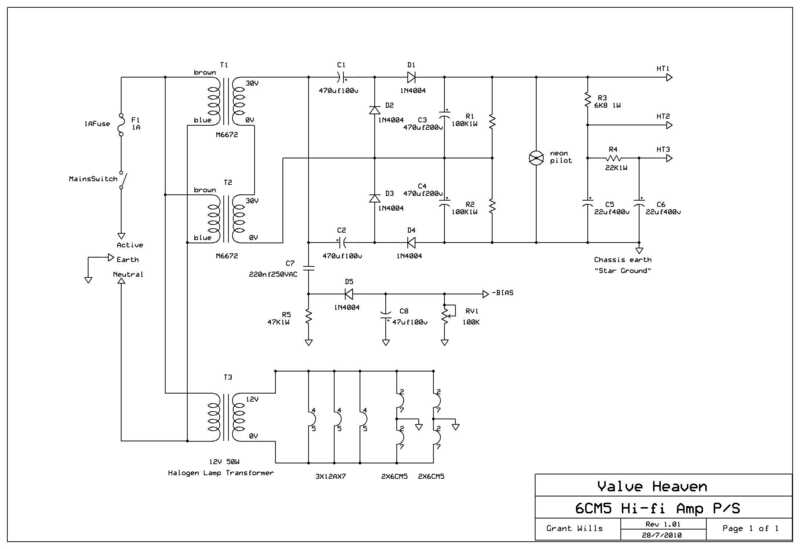 Been recently taken into the world of Valve audio circuits and loving it. I have a bunch of 12AU7’s sitting around at home – do you think the circuit could be adjusted to utilise these, or is the gain just not quite there to drive the 6CM5’s? 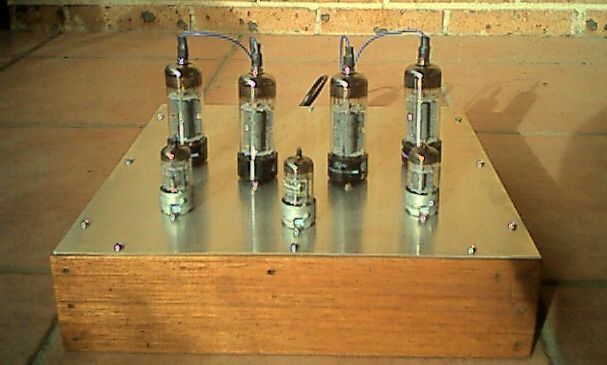 Hi Michael, 12AU7s could be used in my amp, but you would need to change the cathode bias resistors for those valves. 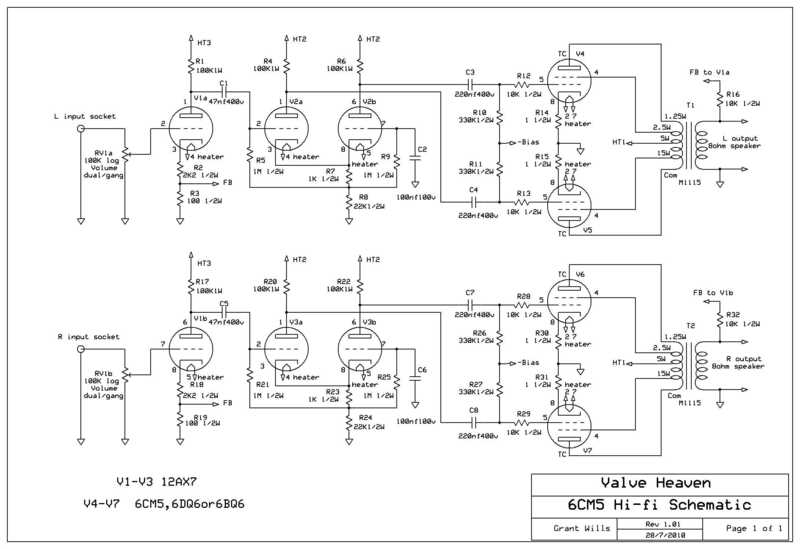 Also, the loop gain would be quite a bit lower as the 12AU7 has a mu of 20 vs the 12AX7 with a mu of 100. Would it be worth adding in a 4th “half” of the 12AU7 per channel, to give it a bit of extra gain? Running them at say 10 and 10, to ensure there would be enough drive for the 6CM5s? That could be done or just try the 12AU7s in the existing design. I dug through my box and found some 6BQ7A’s – these have mu of around 38, so bit warmer than 12AU7s. Loading these up in LTspice is looking good, so I’ll give it a crack and see how I go. This amp is the best sounding bit of kit I have owned. Treated myself to a pair of Krix floor standing speakers so the neighbors can enjoy it as well..
Used Hammond output transformers and changed the biasing to include 4 multi-turn trim pots. Eltro-Harmonic 12ax7’s give a really clear top end. Pentodes are cheapie ‘Harmony’ EL36 from ebay. They need a hot bias to run clean but at 9 bucks each that’s fine by me. Wouldn’t mind finding a stash of NOS Telefunken 6cm5’s! Added some nixie thermometer tubes to monitor the output (well, sort of).